Patricia J. Garcia, MD, MPH, PhD, is the dean of the School of Public Health and Administration at Cayetano Heredia University (UPCH) in Lima, Peru, and former chief of the Peruvian National Institute of Health. While serving as chief of the Institute, Dr. Garcia implemented a web-based laboratory information system (NETLAB), which is the first example of e-Health in Peru and was recognized as a "best practice" model. She has worked at the National STD/AIDS Program in Peru as the director of epidemiology; with the STD/HIV Unit at UPCH, and as the vice dean of research at UPCH. Dr. Garcia has been member of the Senior Technical Advisor Group of the Department of Reproductive Health at the World Health Organization (WHO), and has served as chair of the WHO HPV Expert Advisory Group. 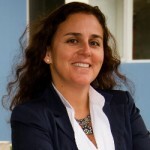 Currently, she is the Latin America regional director of the International Union Against Sexually Transmitted Infections; affiliate professor of the Department of Global Health, School of Public Health, University of Washington; and affiliate professor of the School of Public Health at Tulane University, in the United States. She was recently elected president of the Latin American Association Against Sexually Transmitted Diseases. Dr. Garcia received her doctorate in medicine at Cayetano Heredia University, and trained in internal medicine, infectious diseases, and public health at the University of Washington.